Lobbyit has set up NCISS's "state-level" tracking and continues to identify hundreds of bills in 30 active states. The most important, by state, are below. To view bills impacting private investigators, private patrol operators, or security guards in your state, go to www.NCISS.org to the Advocacy Hub. You can search alphabetically by State or click on your state on the United States map provided at the top of the page (current example above). If your state is not listed, it means that your state was either not in session or there were no bills introduced that met our search parameters. If you know of a bill in your state that we need to become aware, please contact your Regional Director. April 5-8 saw NCISS leadership in Baltimore, Md., where they convened the Board of Directors to address the business of the association, election of officers, and conduct NCISS's annual Hit-the-Hill event. 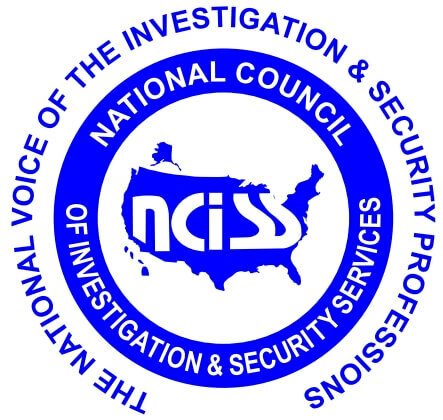 On Thursday, April 7, NCISS attendees from across the nation descended upon the Nation's Capital, ready to inform our elected representatives about issues of importance to the investigative and security professions. NCISS members visited dozens of Member offices, carrying with them important messaging about a variety of topics before Congress, including unmanned aerial vehicles (drones), data collection and pretexting, geolocation device prohibitions, and a slew of Labor Department regulations which portend great harm for security and investigative businesses. The highlight of the day was the luncheon, which took place in the Capitol Building, and which featured remarks from the Chairman of the Senate Judiciary Committee, Senator Charles Grassley (R-Ia). During his remarks, he focused on public accountability for official decision-makers, and transparency in government. NCISS members took the opportunity to address Sen. Grassley regarding the importance to us of Senator Toomey's "Security Officer Screening Improvement Act of 2016" (S.2534), a bill streamlining and improving the background screening process for security service workers. Members of the NCISS Board then attended a meeting with senior counsel for the Senate Commerce Committee, where we discussed FAA reauthorization (UAVs), data broker regulation, and the importance of maintaining access to background information for a variety of our professional needs. Of these issues, Committee staff indicated the most pressing problem might be disclosure requirements for UAV operators placed in Senate legislation by Senate privacy advocates. NCISS is looking into this language currently, and anticipates that it will soon be the topic of an Advocacy Hub letter writing campaign. Stay tuned for more on that! Finally, the day was topped-off by an NCISS-hosted reception in the House Rayburn Office Building. During our Congressional meetings, NCISS members handed out invitations to staff, asking them to join us for an opportunity to enjoy refreshments and more informal conversations about our matters of concern. We were gratified to have numerous congressional staff who made an appearance, eager to learn more about our profession and our priorities. Looking forward, Congress is moving full-steam into the appropriations season, where NCISS will be lobbying heavily to have Congress pass legislation blunting the worst of the Department of Labor's numerous, destructive regulations concerning the American workplace (like we did in 2015). Again, it is likely that the funding of government for 2017 will largely be decided as the end of the year approaches, However, it is imperative that, in the interim, Congress hears from individuals and businesses affected by rules such as the new overtime requirements, micro-union rules, "persuader" regulations, etc. (i.e. the subject of earlier NCISS dispatches and letters). Stay especially tuned to NCISS alerts coming up in May, as your participation will be critical!